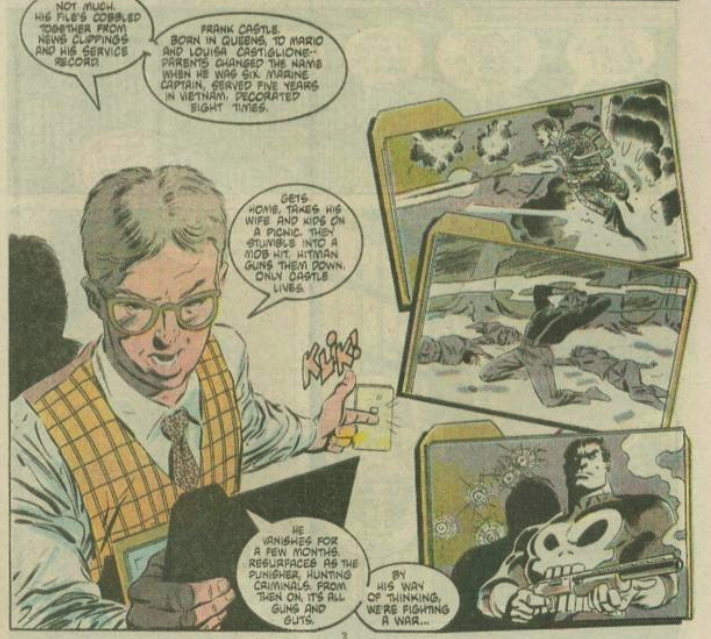 I recently introduced a new feature on Punisher, and noted that he didn’t have a name when he was first introduced in 1974. He got an origin story (briefly) in 1975. 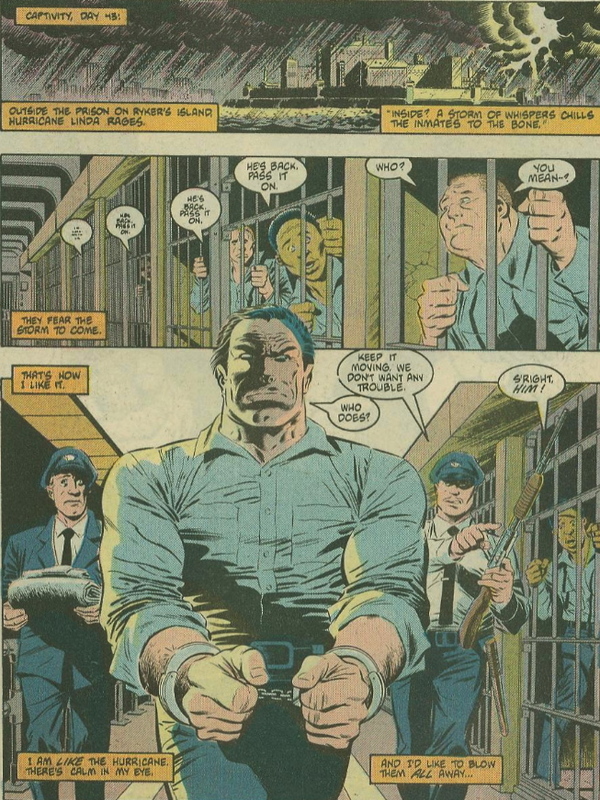 Then there were some scattered appearances in Amazing and Peter Parker Spider-Man–including one where he stood trial–but we still didn’t know him as anything other than The Punisher. Frank Miller made the character much cooler and more interesting in Daredevil #181-184. Then, a decade later, Steven Grant and Mike Zeck wrote the definitive Punisher story: A five-issue miniseries called Circle of Blood. Actually, it was called just called “Punisher Volume One,” but everyone now refers to it by its trade title. It’s one of the best books of the 1980s, and it’s the comic that made Punisher matter. It started with a prison break–just like the Miller Daredevil arc–and brought us deep into Punisher’s mythology and past. If you only ever buy one Punisher comic, consider making it this one. Soon after, Marvel launched Punisher Volume 2–his first regular series.